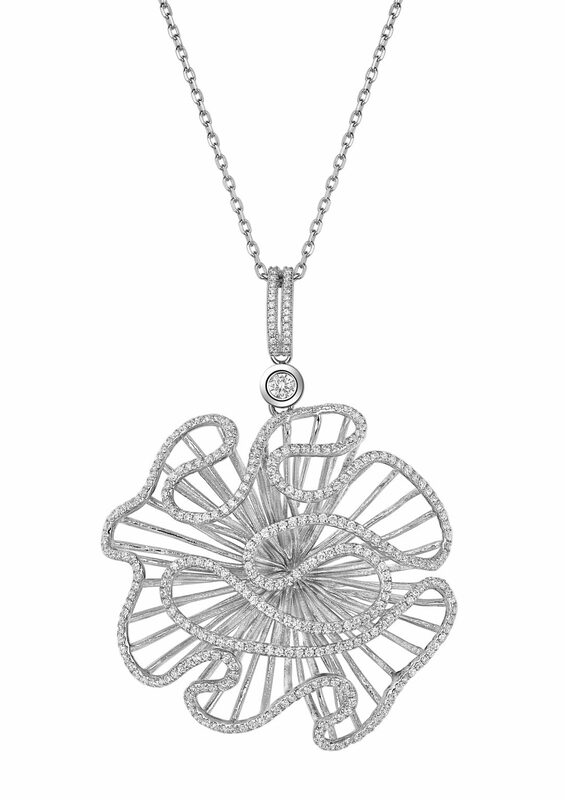 Cascade Large Pendant In Sterling Silver. With its dramatic, sweeping folds and architectural framework, The Cascade Collection is a striking combination of line and curve. Beautifully delicate yet unashamedly bold, the collection’s undulating forms are inspired by the movement and strength of flowing water. This is captured in a sparkling ribbon of pavé set cubic zirconia.